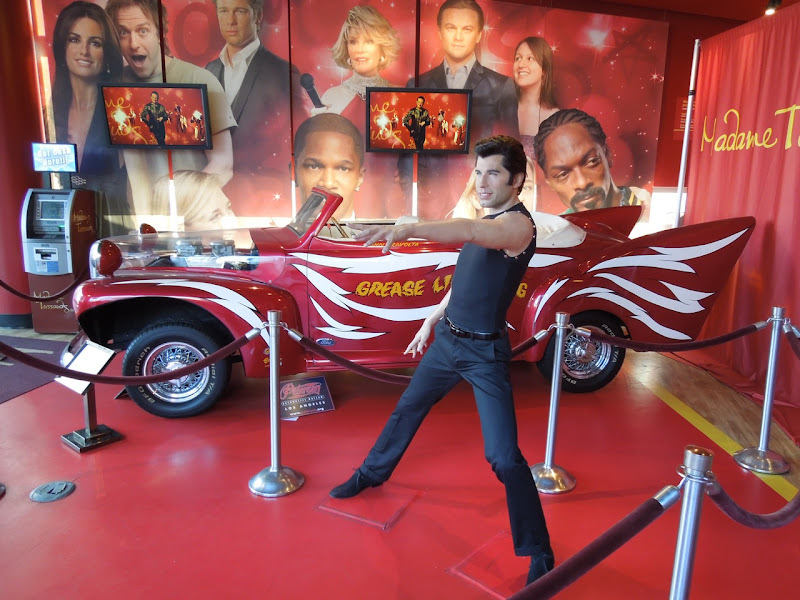 Today it's Christmas come early as here's a very special treat for all you Grease fans out there. 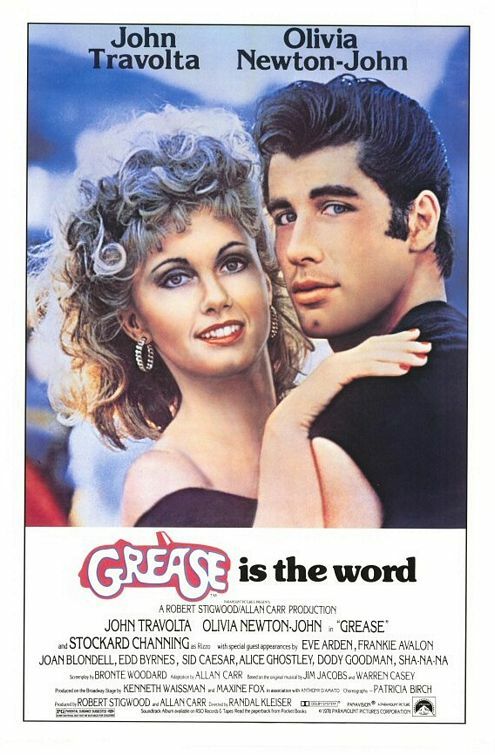 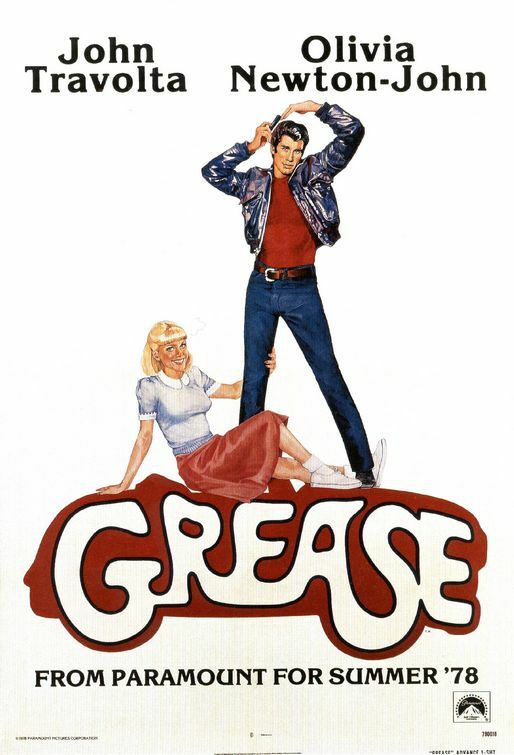 The movie musical is one of my all-time favourite feel-good films (along with the likes of Dirty Dancing and The Adventures of Priscilla, Queen of the Desert), and I could watch the 50's based romantic comedy over and over (and probably have over the years) and enjoy it every time. 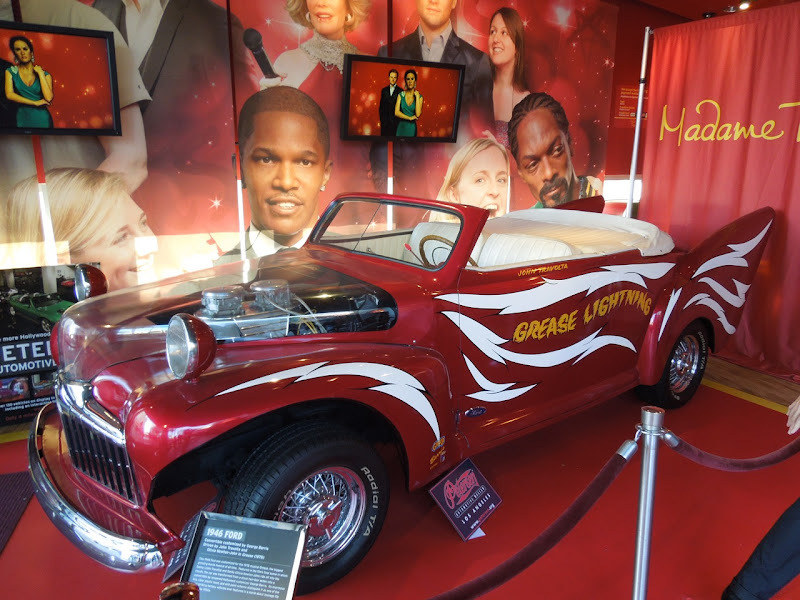 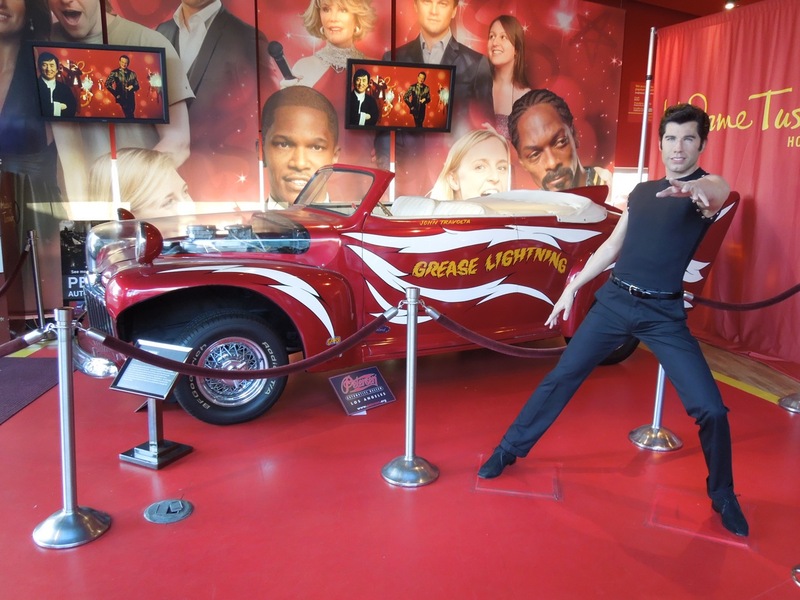 So you can imagine my sheer delight when I chanced upon the original 'Grease Lightning' car from the T-Birds 'Greased Lightning' fantasy sequence and the movie finale when our two young lovers fly off into the sky. 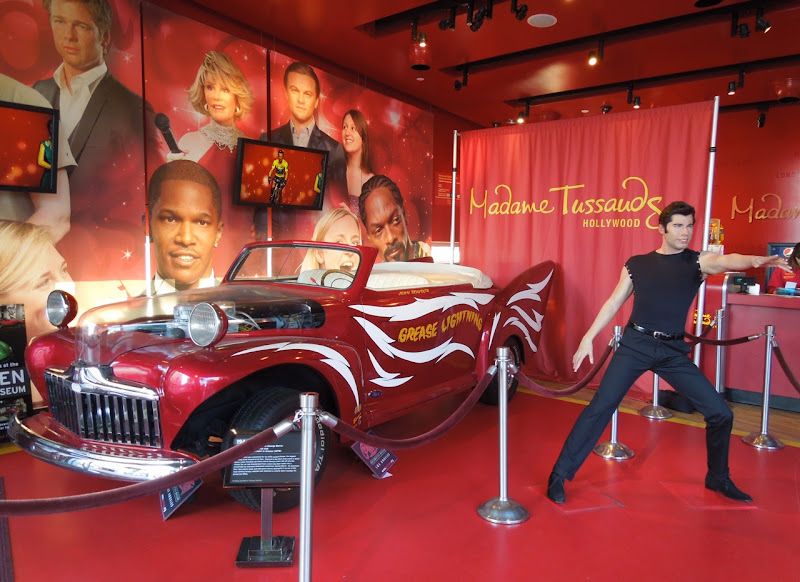 And as it was on display at Madame Tussauds Hollywood they even had a waxwork of John Travolta as 'Danny Zuko' to make the exhibit complete. 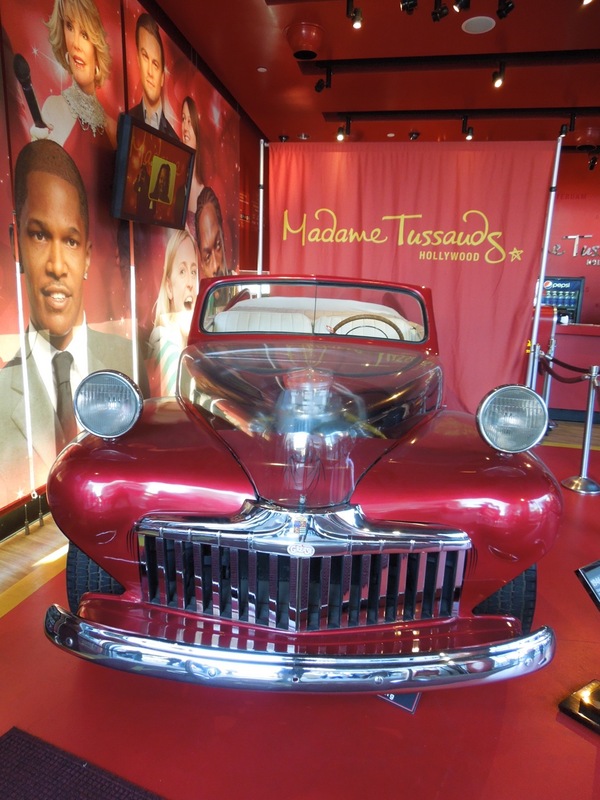 Photographed on December 19, 2012 in the heart of Hollywood, the car is on loan from the Petersen Automotive Museum, which is quite a canny way to promote the auto attraction to hordes of eager tourists. 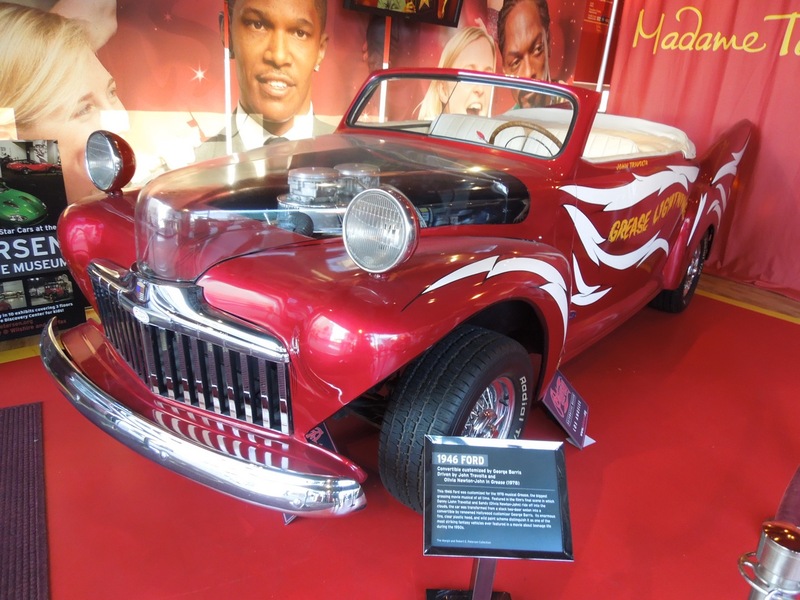 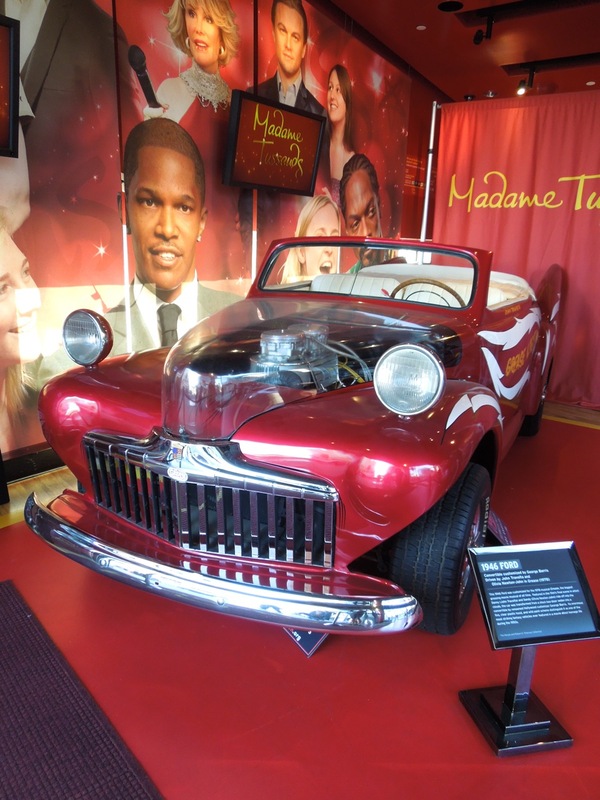 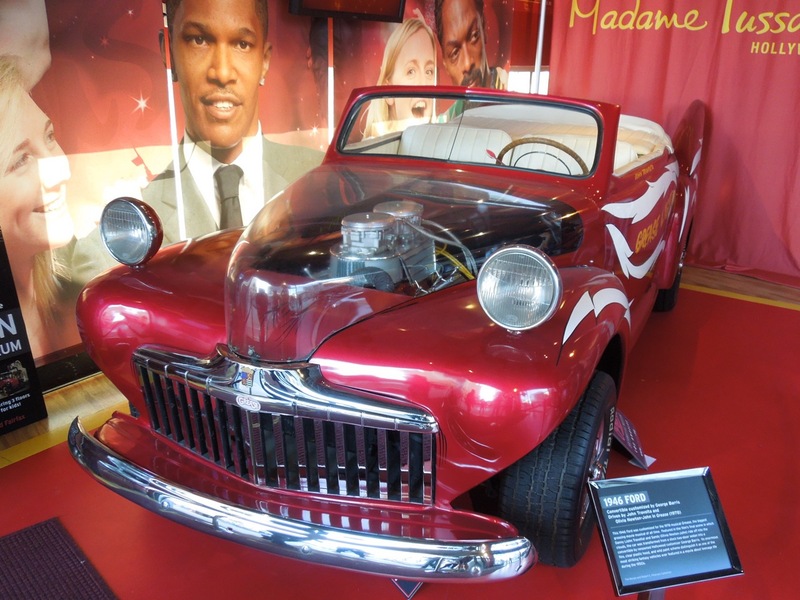 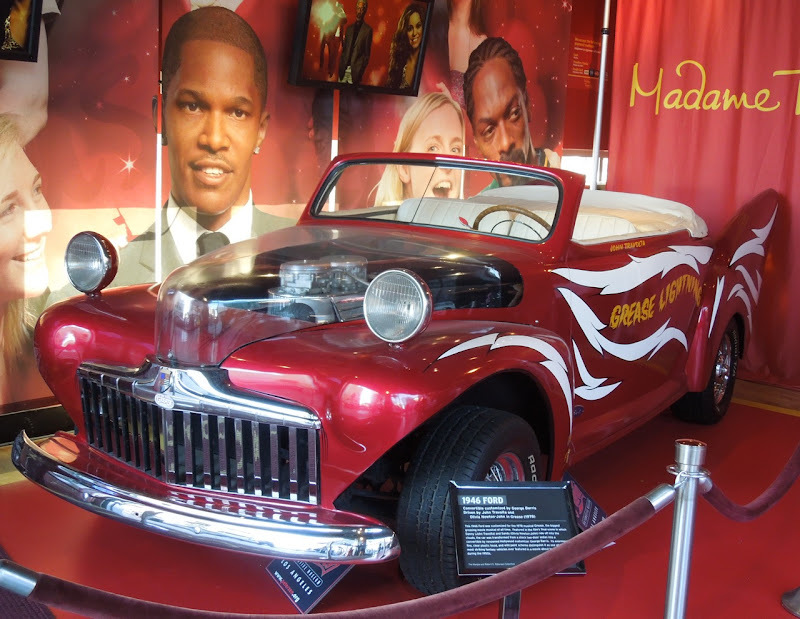 This 1946 Ford Convertible was customised by George Barris for the 1978 musical, which is the highest grossing movie musical of all time. 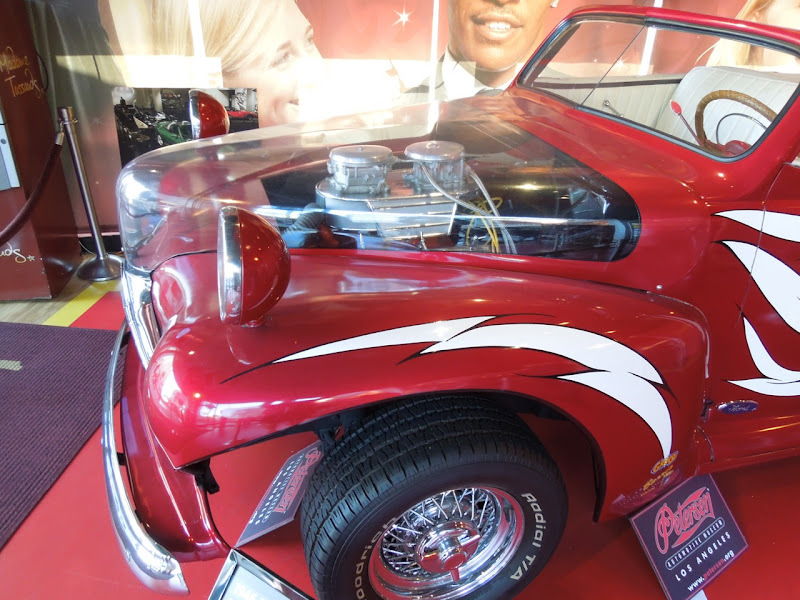 The renowned Hollywood customiser transformed a stock two-door sedan into this awesome convertible with a wild paint job, enormous fins and clear plastic hood. 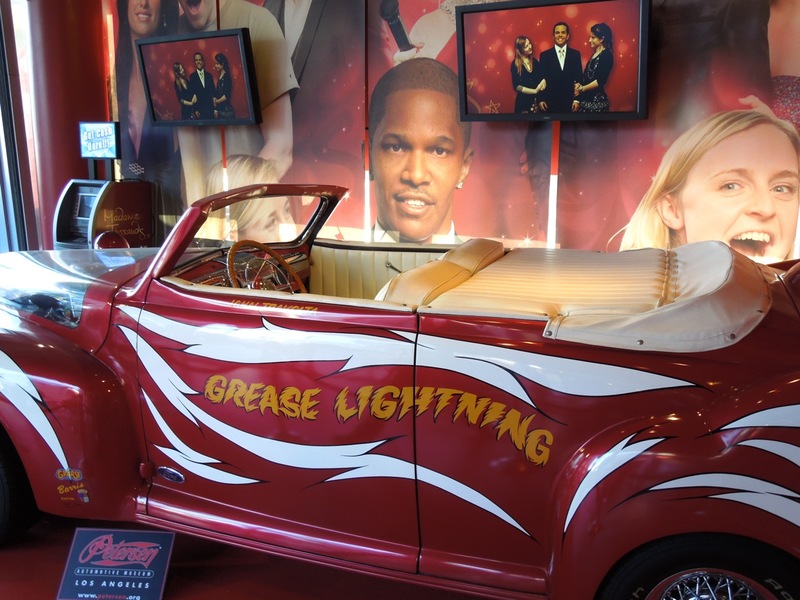 It's pretty amazing and I'm so glad I got to see this piece of cinematic history in person.